Navigate to the System Links page in FunnelFlux. Head over to Clickbank and log in. Paste in your secret key and FunnelFlux IPN URL then click test IPN. In FunnelFlux create a funnel that mirrors the flow you have in Clickbank including any PitchPlus upsell flows. Ensure that you use landers for pages that a conversion does not happen on, and use offers for pages that conversions do happen on -- so in general any page that has Clickbank payment links on it should be an offer. Link these all together in the same flow as used in Clickbank and save. Take this JS and paste it in a text editor as we first need to modify it a little. Lastly, we need to modify links in the the HTML of our various pages to provide the flux_payment class so that our token injector can find them. This applies to all payment links including the upsell accept/decline ones. Your page code will surely be a bit more complex, all you need to know is that this class has to be added to the <a> elements. Now the FunnelFlux JS code will inject hit ID automatically into links so that they get passed onward to the next page. When users convert the IPN will tell FunnelFlux what visitor converted. You can now send users to your pages through tracking links, or send users directly to the funnel pages since they have no-redirect JS tracking on them. Just be sure to pass flux_fts in the URL if you want to declare the traffic source the visitors came from, as well as any other custom tracking fields for that source. An easy way to do this is to generate a link in FunnelFlux for your lander or traffic entrance node, copy it, then just paste the entire query string into your lander URL instead for direct linking. 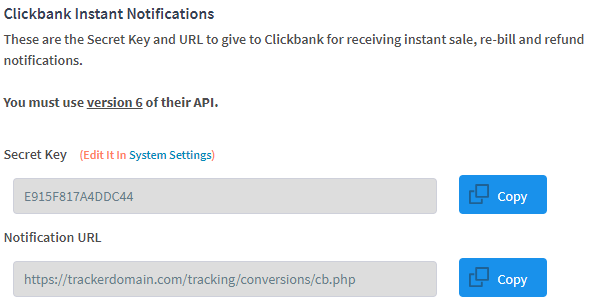 Please let us know if you encounter any issues or find incorrect tracking results when using this method - its currently in beta as we have not been able to thoroughly test it across all possible Clickbank configurations.